If you are at native Houstonian or have spent any time outside, you might have wondered if it was possible to really enjoy your backyard with all those biting mosquitos. With the additional concern of West Nile Virus and mosquito transmitted Zika Virus spreading, our clients have an increased interest in controlling the mosquito population in and around their home. Well, we here at Naturalcare Pest Control understand the mosquito’s behavior and habits and our complete solution is more than just a yard fog. We spend the time to evaluate your yard, find areas that are breeding grounds for mosquito and provide a full treatment solution. Our solution helps significantly reduce those pesky mosquitos while still keeping the good bugs safe in our yard. To us and our family, the ability to enjoy our gardens and protect the bees without having to worry about our children and pets coming into contact with the more toxic chemicals are our biggest concerns. Our effective and non-invasive treatment allows our clients to take back their yard and we know you will love it as much as they do. We understand a mosquito’s behavior and habits and are able to provide an effective mosquito pest control treatment that will rid your property of pesky mosquitoes. Our recurring service is done bi-weekly to help keep your yard safe. We know you’ll love it, as do our customers who request it year after year. The mosquito fog is great as a one time service for before parties or any outdoor events. To be able to fully take back your yard we recommend having the fog service bi-weekly March-November. By doing this, we are killing the mosquito population at each service and leaving a residual repellent that will last the rest of the two weeks. We will rotate between a couple of different products each service which will never allow the mosquitos to gain resistance or get accustomed to the repellants. When fogging, we target all the harborage areas like under decks, under or around shaded beds with mulch and leaves that are constantly moist, around any play equipment and lastly spray all the grass areas. While doing the service we Never spray any blooming flowers or any colorful areas where our detrimental bees may be buzzing around at any time of day. 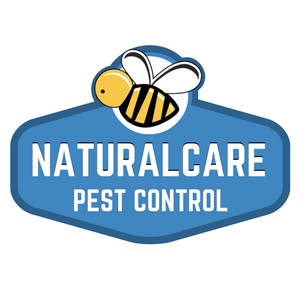 With the care of expertise of our Naturalcare pest we can work together so you can enjoy your yard all year around. Call us today to find out more about our custom mosquito systems. We have a 100% satisfaction guarantee. While other services only come every 4 weeks, our premium mosquito treatments are done every 2 weeks for maximum effectiveness. Do you have a mosquito problem in your home or business? You can sign up for service online or schedule a free mosquito inspection today. We service Houston, Sugarland, Katy, Texas and more. Contact your Naturalcare Pest Specialist and take your yard back.